You may not always have hours for make-up. Sometimes you get only a few minutes for touch-up. Knowing quick tricks becomes very important so that you could be your own guide, and escape from blunders. Some girls also skip make-up altogether just because they are unaware of easy-to-use hacks. 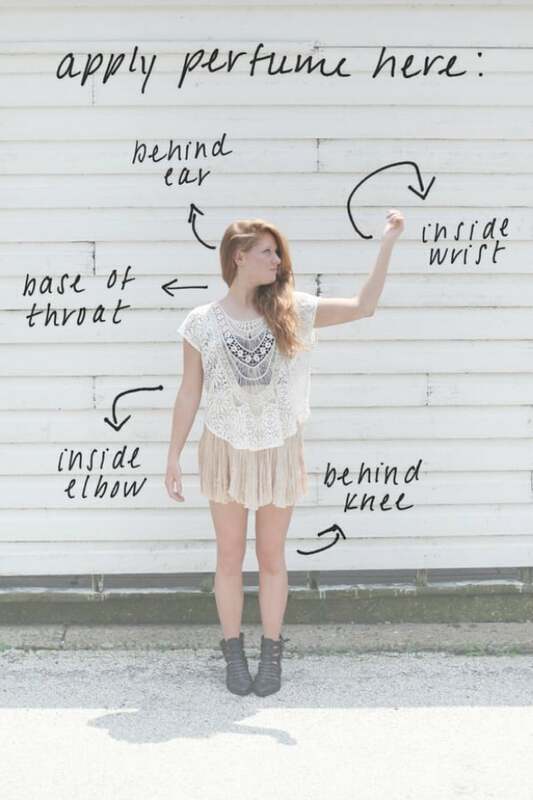 These beauty hacks will not only surprise you, but also help you feel confident and elegant. Are you ready for a makeover? Or you want to procrastinate it for some other time? Well, right time never comes, it’s now or never. So, read on and try out to become handy with these hacks. Apply first layer of white color on your lid; and thereafter, apply second layer with your favourite color. The purpose of white coating is to save you from touch-up of eyes throughout the day, because it will stay as it is. When you fail to find out eye liner, just rub eye liner brush over the mascara brush and its ready to be used as liner. If your mascara is black then well and good, but if it’s not, even then it would work. The prime focus of mascara is to beautify eye lashes; hence, after using mascara as eye liner, your lids will be sharper and cleaner. Wondering why gel eye liner? Because gel lasts longer, as the pencil eye liners tend to smudge frequently. Even though gel liners are costlier, but then they could be made at home too. Get a lighter and eye liner. 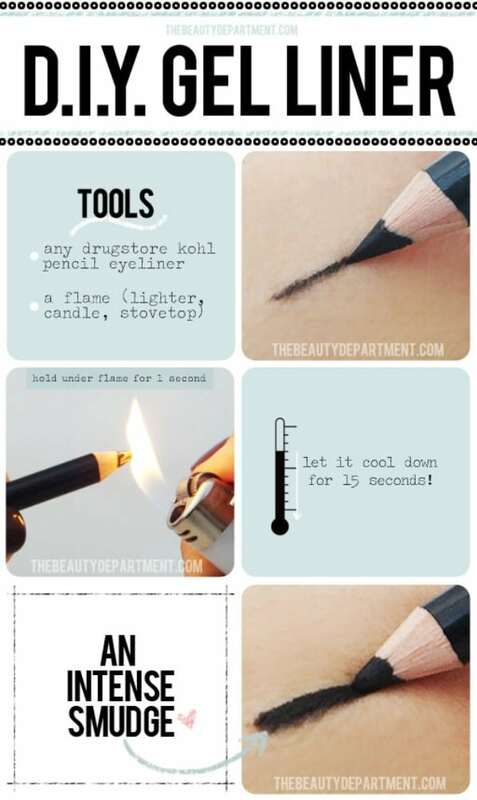 Heat the end of the pencil eye liner with lighter to obtain gel eye liner. Have you been waiting to learn fake lashes look till now? You need not wait anymore. Here’s the trick to get it easily. For thicker and fuller lashes, apply mascara as you normally do. Get an ear bud and dip it in baby powder. Rub it on your lashes to separate them from each other. 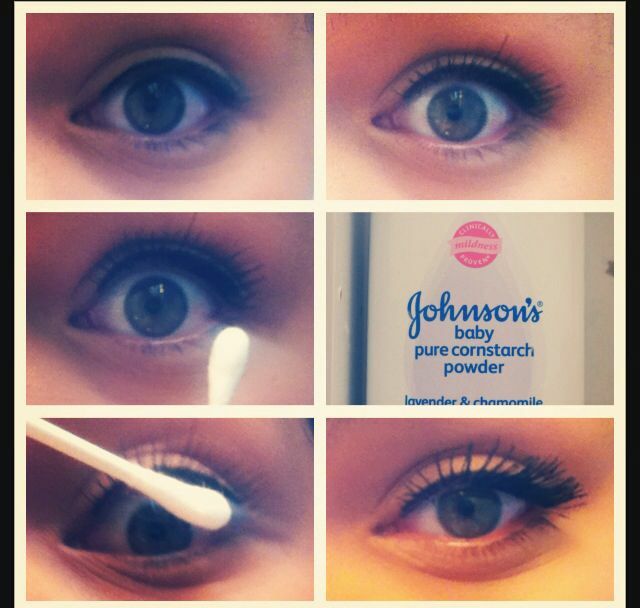 You may apply mascara again if you need. The key to get those winged eyes is draw lines firstly, and then fill in the colors. 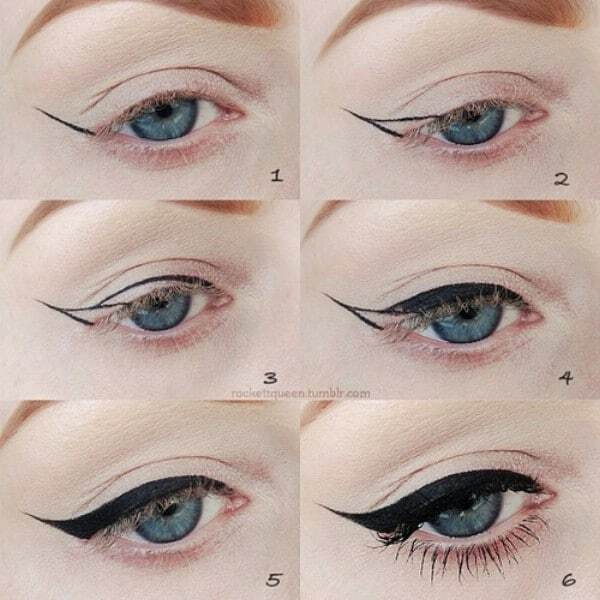 Carefully draw a wing at the outside corner of your eye as shown in this picture. Thereafter, fill it using the same eye liner. This way your smoky eyes will look finer. Another way to do it is through a spoon. Get an old spoon. Hold the spoon at the corner of your eye and make an outline following the spoon edge, as shown in this image. 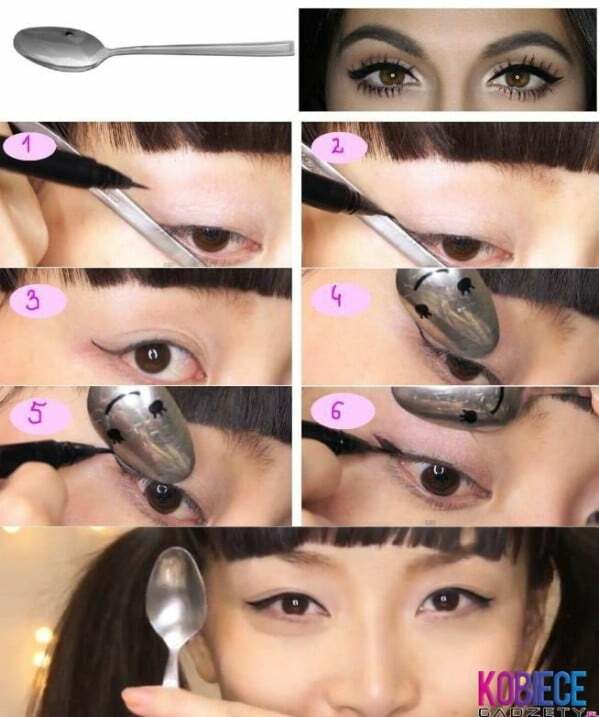 For the beginner’s, this spoon will work like a guide to get that perfect look. We all have a lot of business cards at home which are of no use to us. But, here is one significant use of those cards for girls; so, don’t dump them! 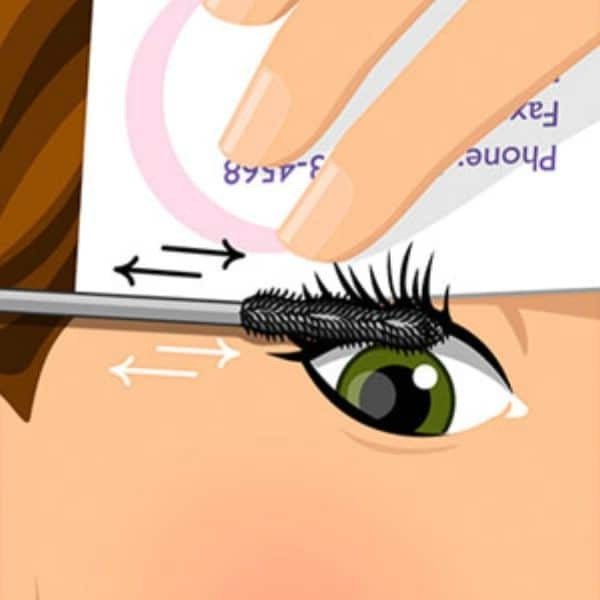 Hold a business card behind your lash when you apply mascara, this will help mascara reach the root as well as the tip of the hair. This way they will be finely colored. Some females don’t get time for applying eye shadow every time. But now, you can do it faster by simply crosshatching gel liner on your lids and then blending. The merit of using gel liner is that it lasts longer and gives you a smudge-proof look. For a different look, try blending different colors and you will actually stand out among the lot! 8. Smokey or Muddy Eyes? While trying to achieve the smokey eyes look, sometimes it becomes muddy. To avoid this blunder, you need two brushes – one for the colors you want to apply and another one to blend them properly. Using same brush for both eyes can be disastrous! That is because when you have applied make up on one eye, the brush is completely drenched in different shades. Hence, one must use another clean brush for second eye. Get shimmer eye shadow and apply in the corners of your eyes. Focus on the inside corner to look younger. Prefer light color if you have dark circles on the top of the nose area and want to conceal them. Wondering how to get the natural look despite wearing eye makeup? Do not apply eye shadow directly. Firstly, use gel or liquid eyeliner, but it should be subtle so as to give a natural look. 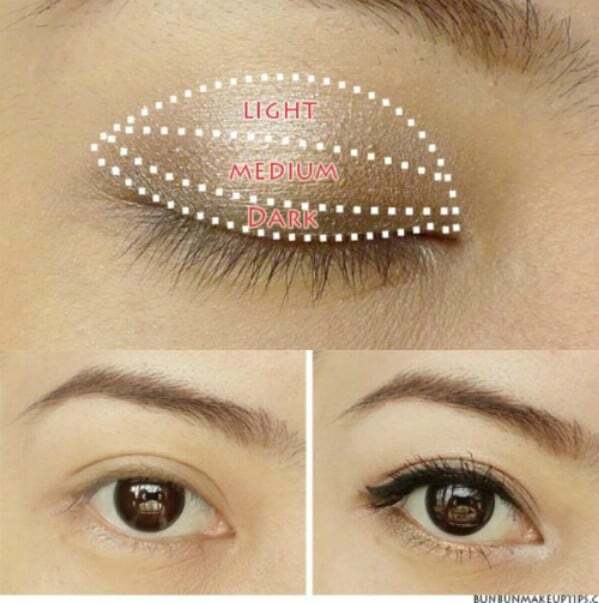 While applying shadow, ensure that dark shadow is just above the lashes, and medium shadows just above the dark, and lastly, the lightest shade towards the brow. Lipstick marks on teeth makes you look naïve in the makeup. You just need to wipe your lips inside out to avoid this blunder. If you end up staining your pearly teeth while applying lipstick, always use your fingers to remove them that very moment. Lipstick generally rubs off after 3-4 hours. To make it long lasting you just need a pinch of translucent powder and tissue paper. Apply the first coat of lipstick as you usually do. Then place a tissue paper lightly on your lips. Spread a pinch of translucent powder over the tissue. Just like lipsticks, lip gloss also tends to rub off after a few hours. But here’s an easy way to make it stick to your lips for longer. Just add a little peppermint oil in your regular lip gloss and its ready to be used for a shinier and softer look. Girls generally skip lip liner because they do not know the right way to apply it. Mark a cross in the center of your top lip. 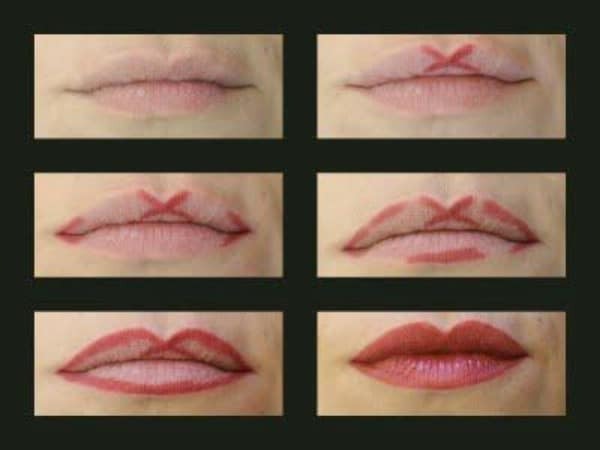 Then line corners of lips. Join all these lines by lightly applying liner on the edge of the lips. Now, you can apply the lipstick. They will look thicker and fuller. Want fuller, sexier and poutier lips? Use frosted/pale eye shadow. Apply lip color as usual and then a layer of frosted eye shadow over it would suffice. 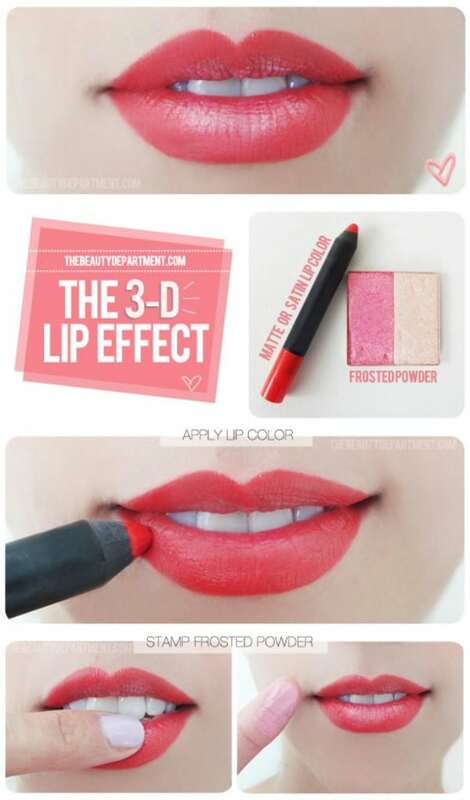 Since frost is thicker, it can make lips luscious, you just need to dab it on your lipstick. Most of the girls do not know the right way of applying concealer, which is why you fail to conceal dark circles almost every time. To conceal your bags and dark circles, you need to apply it forming a triangle out of dots beneath your eyes. Move your hands downward and it’s done! 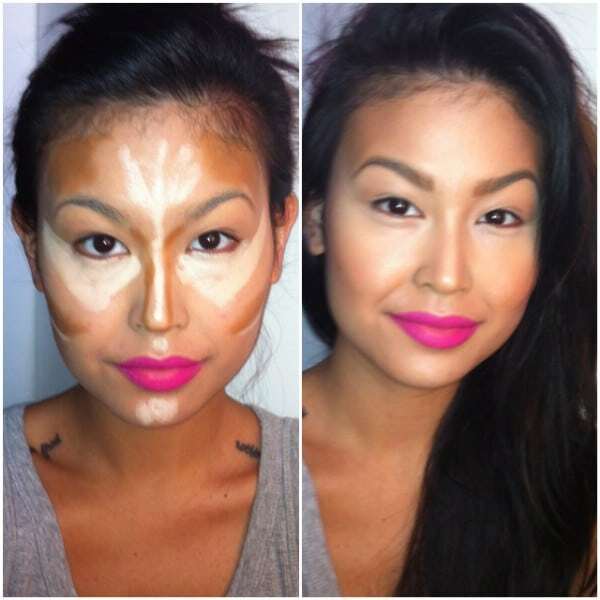 Proper contour is not easy to achieve. Most of the women get it wrong, which is why they end up doing blunders while wearing makeup. You need to follow certain facial lines while applying concealer or contour to get that perfect look. And for a great high cheekbone look, employ darker color along the lines of cheekbones. Have you ever thought why does your makeup look different at different places? It’s because of lighting! To know your actual look, it’s said that ladies must check it in their car. You will get the idea where it needs to be blended, or where it is extremely bold. Those who have wrinkled skin are prone to concealer creasing. In order to avoid this, begin your make up with a light primer, especially for the wrinkled skin. 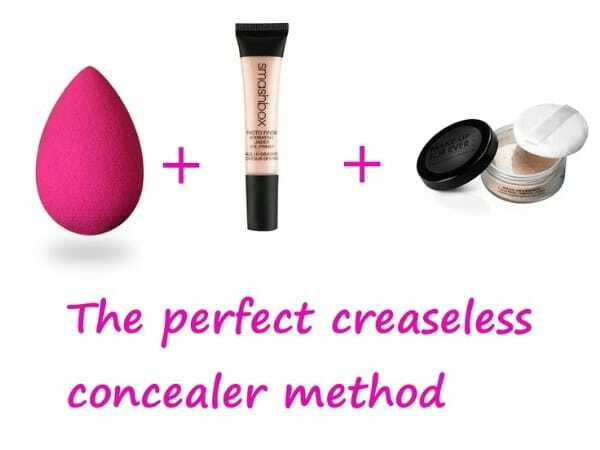 Thereafter, get a (beauty blending) sponge to dab concealer softly, it will hide your lines. At last, apply a little powder for smooth and even skin. They will really take you to another level of polishing nails. Why waste time on coating every single nail separately, when you can do it easily at once. Surprised? Well, that’s right. Get makeup sponges and your favourite colors. 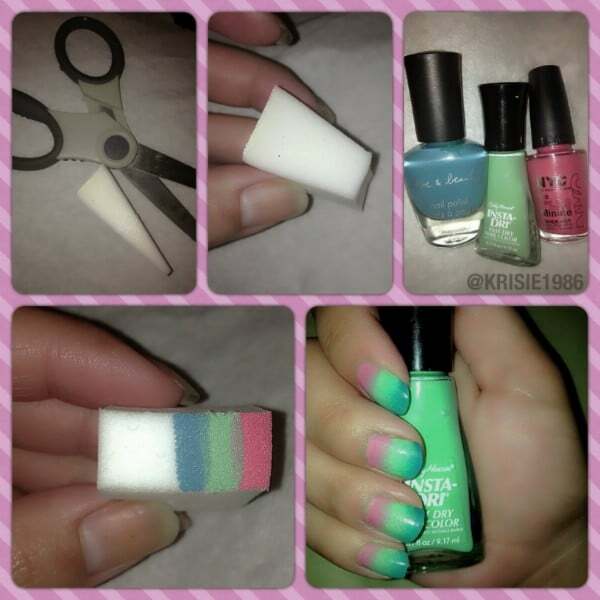 Paint the pattern on sponge firstly, and then press it against your nail. Repeat the same pattern on each nail. If your French manicure vanishes from one or the other tip, you do not need to remove it all off the nails, and then do it again entirely. 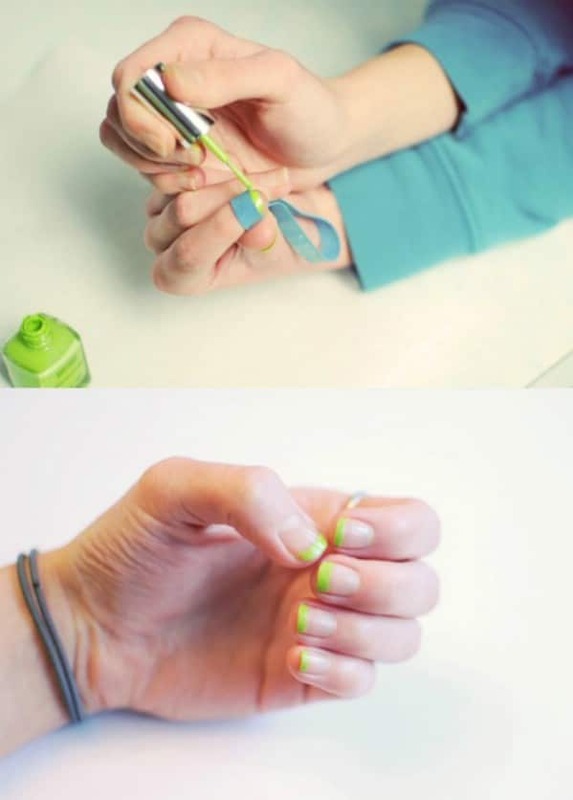 You can fix it at home by removing that portion of the nail polish which is chipped; and then separate it through a rubber band. Thereafter, paint new polish only over that area where it is required. 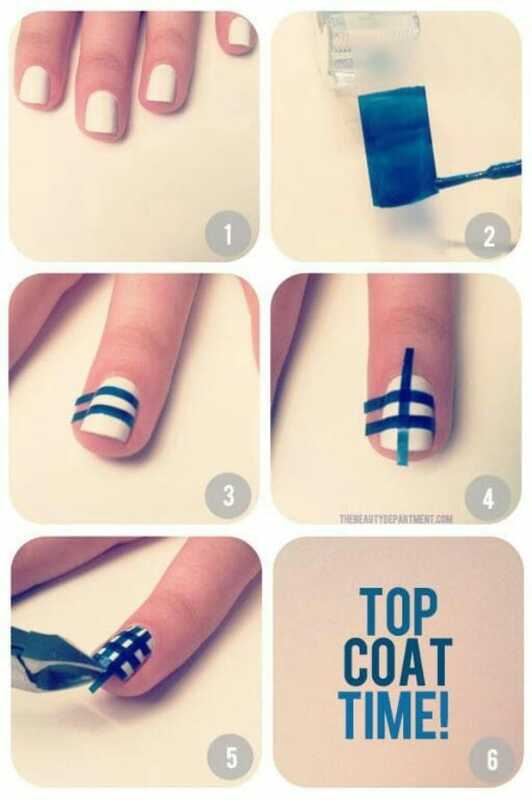 Nail art made easier! Yes, you heard it right! Get some band aids first. Paint your nails like you usually do. Wait till the nails dry. 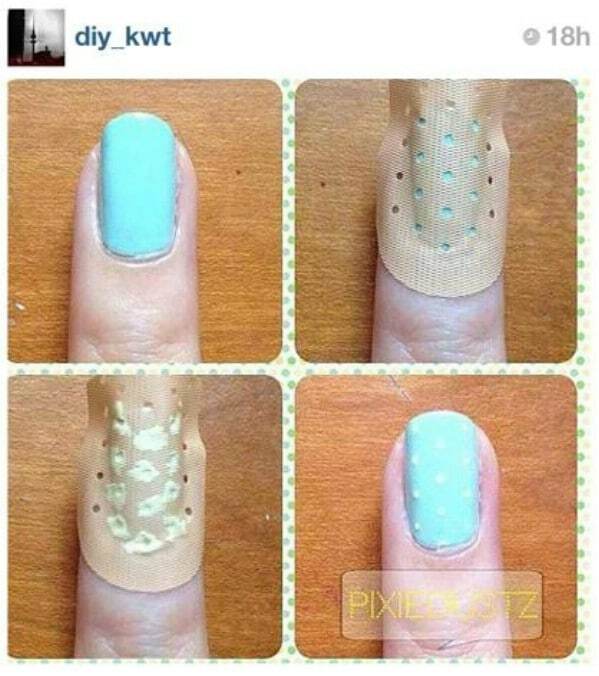 Thereafter, paste the sticky portion of band aid on your nails. Then, color it with whichever color you want. And your polka-dot look is ready! First of all, paint your favorite nail polish color on scotch tape. Then cut it into strips so as to get gingham design on your nails. Be innovative and try as many different and bright colors as you can. Drop the tape carefully; and lastly, apply the top most coat. There are two ways to dry your newly polished nails which otherwise gets ruined due to the wetness. Either use blow dryer to dry them; or dip them in ice water which would be easily available in freezer. Get craft scissors to cut tape in a stylistic way. Make sure that you match the length of nail while cutting the tape. 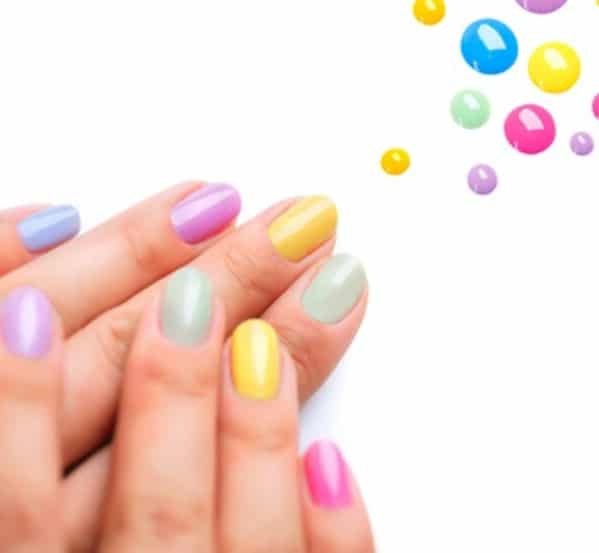 Paint the base color on your nails of your choice. And after it dries, use tape on half nail and paint the other bare half of nail with some other color. Take off the tape to witness two-toned nails. People visit hair stylists to get their split ends trimmed after every 4-6 months. But, it’s not mandatory. You can do it yourself at home very easily. Twist your hair and then cut the hairs that you see sticking out. Wanna style your hair in a classy bun due to extreme heat? Make a nice ponytail high on your head first of all. Divide your hair in two parts and the start twisting them from the end. 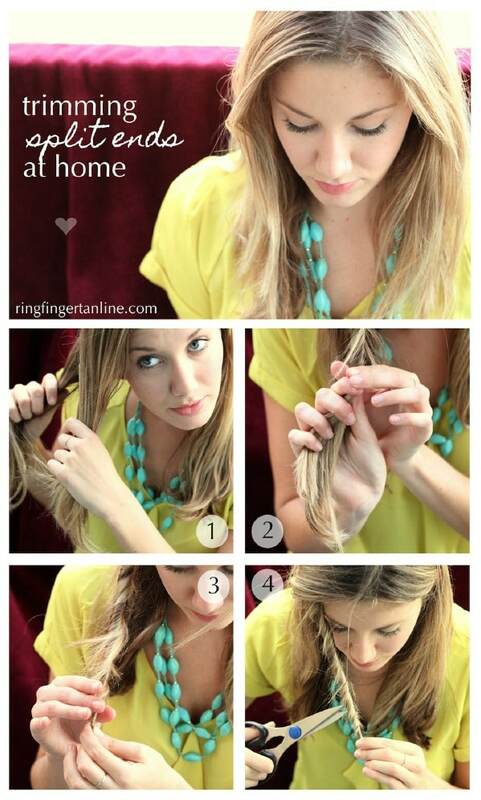 Wrap both the sections in opposite directions and tie your hair. There are days when you wake up late and don’t get time for shampooing and conditioning your hair properly. 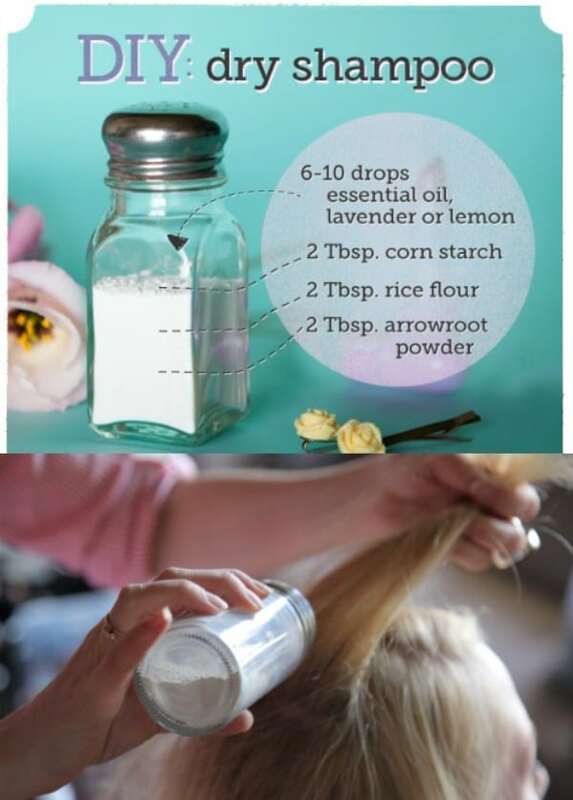 Make your own shampoo by mixing ¼ cup of cornstarch and a few drops of your favourite essential oil. Apply it in the roots of hair; and then comb. It will keep your hair clean and oil-free throughout the day. Note: Those who have thicker hair, they must add cocoa powder along with cornstarch for the best results. Braids can make hair waves, but women want is those wavy hair look stick around for longer. 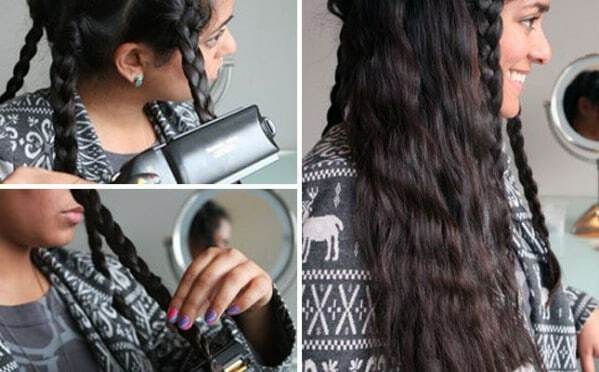 Firstly, make multiple braids if you have long, thick hair. Then flat iron those braids with straightener. Heat them for some time and then wait till it cools down. At last, loosen or untie your braids gradually. Spraying perfume is something we all do daily, but many women still do not know where to use it so as to make its smell last longer. Ladies must know the critical areas where they can squirt perfume – behind the ears, base of throat, inside both wrists, inside elbows, and behind knees. Are you one of those who have maximum bruises because you run into any or everything? Use mouthwash to treat all your bruises. All you need to do is just dab mouthwash with a cotton swab wherever you got a bruise. While putting on makeup hastily, sometimes you end up leaving stains on shirt or top. 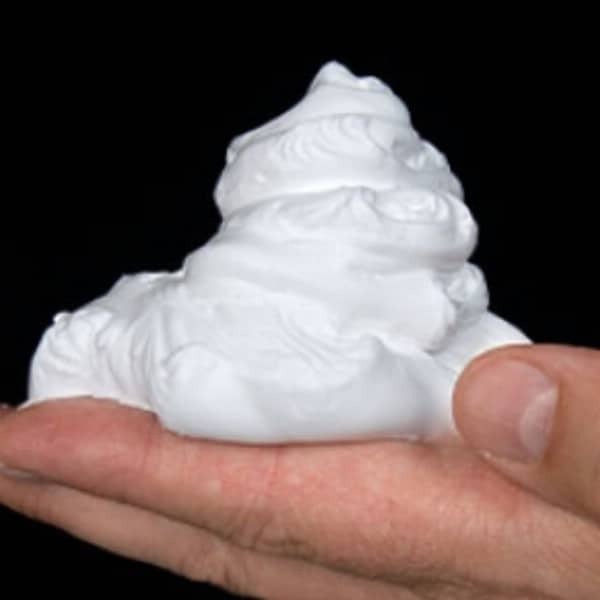 You can use shaving cream to get rid of those stains. Pour a little shaving cream on the stain and then wipe it with a damp cloth. It will take 5-10 minutes. You won’t need to change your attire. Wow! these DIY beauty hacks are just so handy! I especially loved those techniques for beautiful hair.